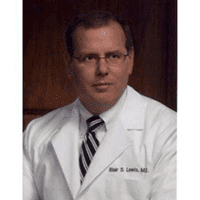 Dr. Lewis offers patients on Manhattan's Upper East Side and throughout New York City the most advanced treatments for gastroesophageal reflux disease, or GERD, relieving symptoms while also helping to prevent the progression of the disease. GERD is an acronym for gastroesophageal reflux disease, a condition that occurs when the lower esophageal sphincter (LES) – the opening at the lower end of the esophagus – malfunctions, allowing the stomach acid and contents to move backward, or reflux. GERD causes symptoms of heartburn, including pain in the chest, abdomen or throat, and sometimes hoarseness. Most people have occasional heartburn from time to time, but when it becomes chronic, you should be evaluated to determine if you have GERD. GERD often occurs in people who smoke and those who are overweight, as well as those with a condition called a hiatal hernia, a hernia located in the diaphragm. Diet and lifestyle factors including excessive alcohol consumption can also contribute to GERD. In some cases, GERD symptoms can be relieved by lifestyle changes, like losing weight, avoiding spicy foods or caffeine, eating smaller meals and quitting smoking. Because GERD symptoms can occur more frequently when lying down, elevating the head of the bed may also help. Sometimes, though, lifestyle changes aren't enough to relieve symptoms, and medication or, in some cases, surgery is needed to manage the condition. If GERD isn't treated promptly, the constantly refluxing stomach acid can cause erosion of the tissue lining the esophagus. Eventually, cellular changes begin to occur and you can develop a condition called Barrett's esophagus. People with Barrett's esophagus have an increased risk of developing esophageal cancer. Can I treat GERD with over-the-counter antacids? Antacids may provide temporary relief, but they don't treat the underlying cause of the condition, and what's more, some antacid products can interfere with nutrient absorption and even wind up masking more serious symptoms, allowing the condition to progress. It is now possible to eradicate Barrett’s esophagus and thereby reduce the risk of future esophageal cancer. Radiofrequency ablation or RFA is a technique that uses heat to cause tissue death to unwanted tissue, such as Barrett’s Esophagus. Barrx(TM) ablation delivers radiofrequency energy (heat) to burn the Barrett’s tissue in the esophagus using a smaller catheter (HALO 90) during an upper endoscopy procedure. This may be done during one or multiple visits depending on the length of the Barrett’s tissue. Once the layer of Barrett’s tissue is burned off, the healthy tissue can re-grow in its place, though you will still need to be monitored at regular intervals to ensure the Barrett’s tissue has not returned. Barrett’s esophagus is a change that occurs within the cellular lining of the esophagus; the swallowing tube that carries foods and liquids from the mouth to the stomach. Barrett’s esophagus is associated with an increased risk for developing esophageal cancer. How does Barrett’s esophagus develop? Gastroesophageal reflux disease (GERD) is a disorder in which stomach acid and enzymes cause injury to the esophageal lining; producing symptoms such as heartburn, regurgitation, and chest pain. In some patients, the damage and inflammation associated with GERD can result in genetic changes which cause the cells to change from esophageal cells to intestinal cells. This change can be seen during an endoscopy procedure andis deemed Barrett’s esophagus. It is estimated that 13% of the people who have chronic acid reflux also have Barrett’s Esophagus. How does Barrett esophagus become esophageal cancer? It is estimated that 1% of patients with Barrett esophagus will develop esophageal cancer. There are cellular changes that develop and can be identified by biopsies of the esophagus. Surveillance upper endoscopies with biopsy can show the changes as cell develop the change termed dysplasia – first low grade then high grade and finally cancer. The simple answer is yes. By destroying the tissue prior to cancer formation, cancer is avoided in most individuals. The “Ablation of Intestinal Metaplasia” (AIM) trial showed that 98.4% of patients with baseline non-dysplastic tissue were completely free of all Barrett’s tissue at 2.5 years of follow-up. The AIM-LGD and AIM Dysplasia Trials applied RFA in a low grade dysplasia patient population, and report complete eradication of all dysplasia in >90% of cases. Results from several US and European trials have applied RFA in a high grade dysplasia patient population, and report complete eradication of HGD in >90% of cases. "He is top notch and is with an excellent hopital in Manhattan and was voted one of New York's top doctors in his field. His personality matches his expertise." " He was so great and very kind...I did not feel rushed at all. 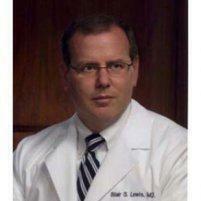 Dr. Lewis made me feel like if I had had 100 questions ... he would have patiently answered them all."